There were so many stuffs I wanted to blog about last year but just did not find the time for them. I think my blog this year will look like a historical archive of year 2010. LOL! So while we are still in the early days of 2011, and before exciting and more blog-worthy events happen to me this year, I think I better blog about my first meet-up and dinner with my two handsome blogger and Twitter friends. 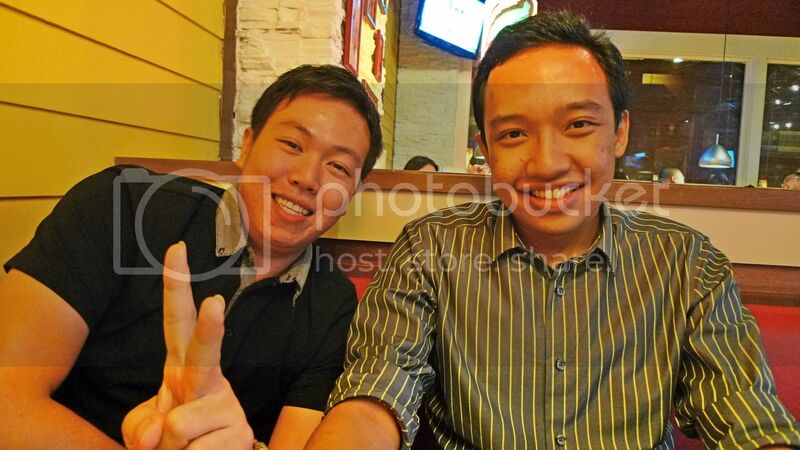 They are Daniel Liew and Haaziq (aka Bluecrystaldude). 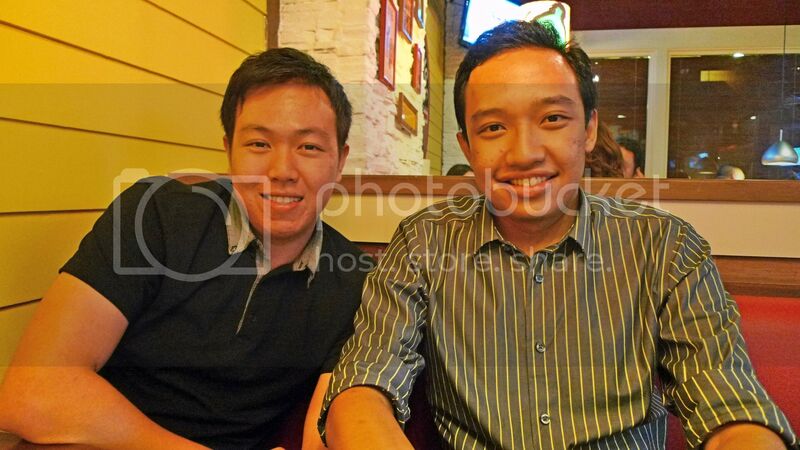 I don't even remember when we met up for dinner (probably sometime in October last year), but I remember we went to Chili's at MidValley Megamall. Haaziq had this burger - I suspect it's the Oldtimer thought I can't be sure. Which burger was it exactly, Haaziq? Dan had this, which I had no idea what it is now! That's the problem with blogging something that happened a few months ago! Is it chicken club tacos or some fajitas and quesadillas thingy? Please answer that, Dan! 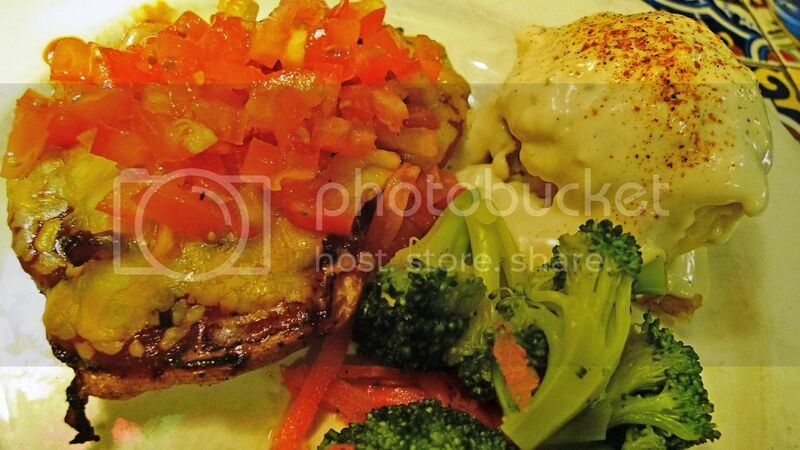 I had Monterey Chicken, my all-time favourite food at Chili's! 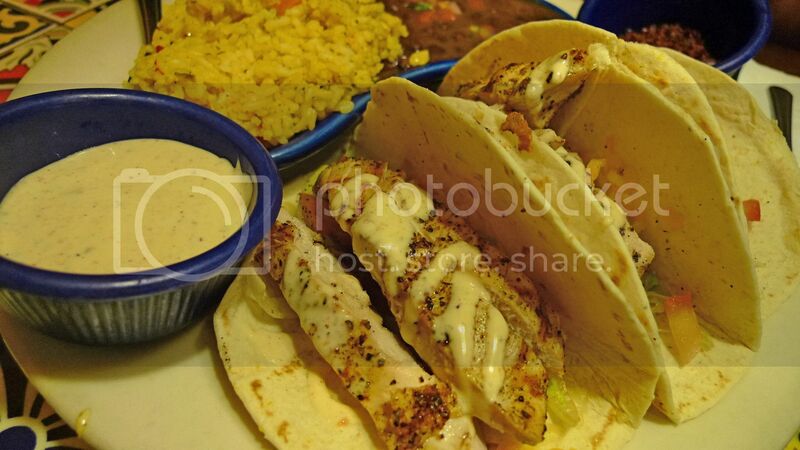 If you don't know what to eat at Chili's, you will never go wrong with Monterey Chicken! And of course we ordered the bottomless tostada chips! 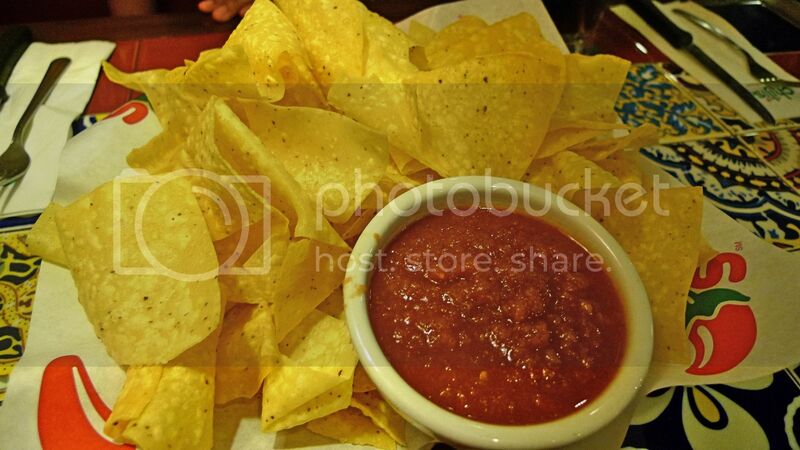 I love the non oily chips dipped into the house-made salsa! Yummy! Although I noticed that both of my friends wanted to take care of their figures and refused to order a second round of the chips! What a waste!! Well, what to do? We are dealing with metrosexual males here! LOL! I enjoyed chatting with both Daniel and Haaziq. They are fun and funny! Thanks for meeting up with me, guys! Oh, by the way, both guys are single and available so girls (I think girls only right? ), what are you waiting for? woohoo just got home and saw ur tweet hahaha..
Me single and available? Maybe haha!! Guys only ah? No ladies joining? lina, it's an all-guys event! Hahaha!! For leg and hairy photos of me, catch them in my travel posts LOL!! the foods looks yummy! haha! wat the now only wanna ask wat foods is dat? Yeah, you better start posting before an avalanche of other things happen in 2011. Hi guys! And two pictures somemore! The food looks yum! esp the set that Dan ordered. Foong, you're right about ordering that chicken dish when you're stuck with what to order. Great pictures. Thanks for sharing. You take pictures of these two guys and post them on your blog. Where is your own picture? That looks like tacos to me.. def not quesadillas! Yum! Gosh! Seriously you posted this. Next time around I should look slimmer. HAHA! I just read the last line, invitations for ladies only. As for guys, well, we can be friends though. Next time will try the monterey chicken as u praised sky high. Haha, seems that the ladies here are also keen on PandaFoong. Foongpc should start selling himself on the blog if he's still single. Maybe even auction himself, I'm sure he can get high price, because everyone loves a Panda! I love to dine at Chili. The food and service is good. 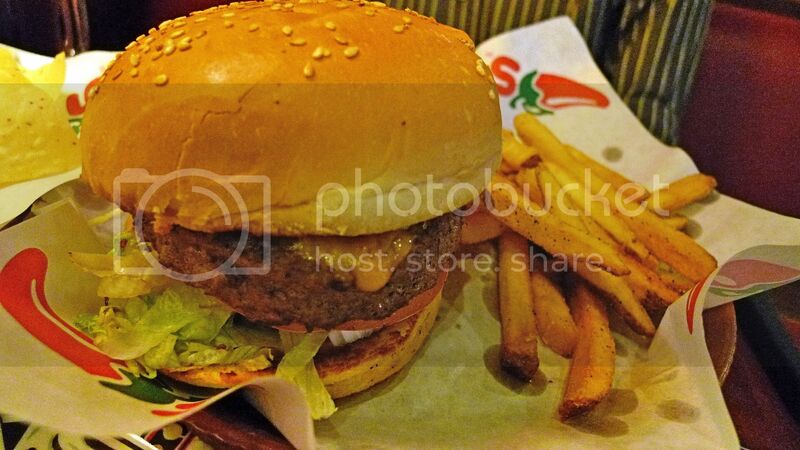 do you always arrange to meet up with bloggers in Chili's?? haha..
but no doubt this is quite a nice place to catch up with people.. nice environment and good food too..
no picture of you again? you must be too handsome to be featured here. Haha! Yeah. Foong is just for Pandas.